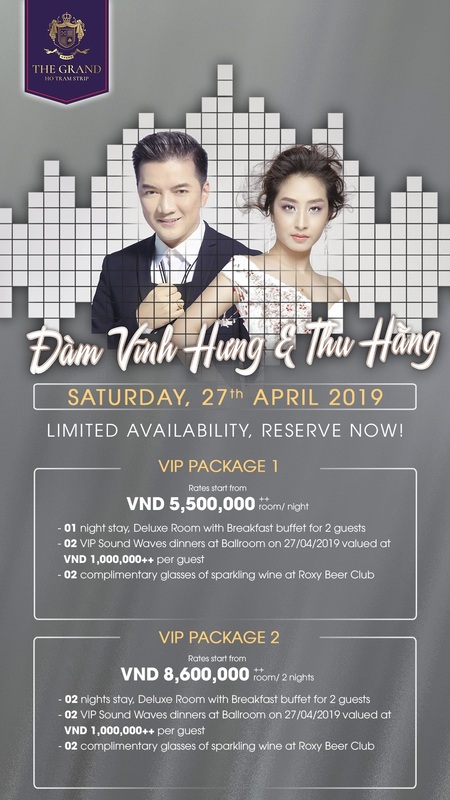 It is not the first time of Dam Vinh Hung – The King of V-pop, and Thu Hang at Ho Tram Sound Waves, but the warm reception they received from the audiences on last year in Ho Tram Sound Waves night will probably keep them coming back for more. And now, we’re excited to announce the comeback of Dam Vinh Hung & Thu Hang to headline this 27th April’s Soundwaves. Don’t miss this opportunity to catch 2 of Vietnam’s hottest acts and experience what everyone is talking about.